We offer top quality rental office desks at affordable prices. 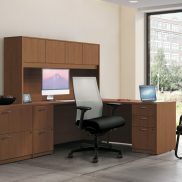 If you need to rent desk sets for one day or one year, we got you covered. 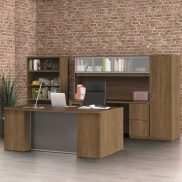 choose from several configurations and matching storage options including lateral files, bookcases, pedestals and seating. We also rent adjustable height sit-to-stand tables and desks! There are more sizes and configurations that are shown on our site so if you don’t see what you are looking for, contact us!